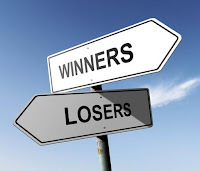 Here are links to last week's articles receiving the most attention in NEIFPE's social media. Keep up with what's going on, what's being discussed, and what's happening with public education. Be sure to enter your email address in the Follow Us By Email box in the right-hand column to be informed when our blog posts are published. LeBron James is proving that money makes a difference, when it is used wisely, for example, on small class size. He has created an innovative model within the public system. His school is not a charter. It is a public school. It purposely chooses the kids least likely to succeed. Ohio presently spends $1 billion on charters, two-thirds of which are rated D or F by the state. Over the years, the state has wasted at least $10 billion on privatization. Is Ohio capable of learning? Basically, in the job as it exists today, I spent so much time doing administrative crap that I had very little time left over for doing my job. I literally spend all day, every Saturday and Sunday, simply completing paperwork. And somewhere in all this I was supposed to do grading. I taught 7 classes, with an average of about 28 students in each. If I assigned a single five-paragraph them, I would have 980 paragraphs to read and comment on—roughly two large novels’ worth of material. So how did we get to this place? Well, I suppose that over the years, every time some person at the district or state office got a bright idea for improving teaching, it was implemented, and the requirements kept being piled on until they became literally insane. Hey, you know, we’ve got this state program that provides teachers with $70 a year for buying supplies, but we’re not doing a very good job of tracking that, so let’s create a weekly “Whiteboard Marker Usage and Accountability Report (WMUAR). It will only take a few minutes for a teacher to prepare. Great idea! You know how these teachers are. They will just run through markers like crazy unless you monitor this. Jeb Bush started the descent into the swamp of ignorance. Now the torch is carried by Ron DeSantis, who wants to arm teachers, expand the state’s voucher programs to include middle-class families with income up to $100,000 a year, reduce the power of local school boards so they can’t block new charter schools, and undercut public schools in every way their little minds can imagine. Let’s draw a line in the sand. We will not support any candidate for the Democratic nomination unless he or she comes out with strong policy proposals that strengthen public schools, protect the civil rights of all students, curb federal overreach into curriculum and assessment and teacher evaluation, and oppose DeVos-style privatization (vouchers, charters, cybercharters, for-profit charters, home schooling, for-profit higher education). Silence is not a policy. Read beyond the headlines. The Indiana Senate is offering to boost the plan offered by the Indiana House...still a cut from previous years. The proposed cuts would be the latest in a series of reductions that have already lowered poverty aid by 30 percent since 2015. In the past, Indiana relied on whether students are eligible for free or reduced-price lunch to measure need. But in 2015, state lawmakers decided to shift to using the number of students who receive food stamps, welfare, or are in foster care. The new measure of need includes a narrower — and poorer — group of students. Last year nearly 2,000 students never earned a single credit across Indiana’s six virtual charter schools, according to new data — even though most of them were enrolled nearly all year and the schools received funding to educate them. That works out to almost $10 million in state funding paid to the online schools for students who didn’t complete any work or got failing grades in their classes. The majority of those students attended Indiana Virtual School and Indiana Virtual Pathways Academy, two schools at risk of losing their charters amid allegations raised in February by their authorizer that they enrolled thousands of students who did not complete or sign up for courses, among other issues with test administration and serving students with disabilities. There really is something quite wrong with our Hoosier legislature. Just weeks before the end of the legislative session, some of the stricter regulations on virtual charter schools were removed from a bill that lawmakers promised would rein in the controversial schools. House education committee members voted 9-0 Monday to amend a Senate bill, further watering it down while folding in measures from a similar bill that would give the schools more power to choose their students. “No idea too stupid,” seems to be our legislators’ motto. When the story first broke that teachers at Meadowlawn Elementary School in Monticello, Indiana had been shot with pellets--execution style--as part of an active shooter drill, I decided not to get in to it here. The sheriff's department had agreed to knock it the hell off, the legislature had already moved to ban the practice, and the whole business was so clearly over the line, so obviously unnecessarily abusive of teachers, so clearly just a stupid thing to do-- well, I figured we'd heard the last of it. WILL TENNESSEE FOLLOW INDIANA DOWN THE VOUCHER PIT? Governor Bill Lee has proposed a voucher program. Teachers and parents are outraged. —but not enough of them. When the bill moved from the House to the Senate, the number of vouchers were doubled to 30,000. 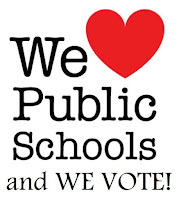 The money for vouchers will be subtracted from public schools, which educate 90% of the children of Tennessee. Expect more segregation, more bigotry, more children taught by uncertified teachers, more state-sponsored ignorance of science and history. 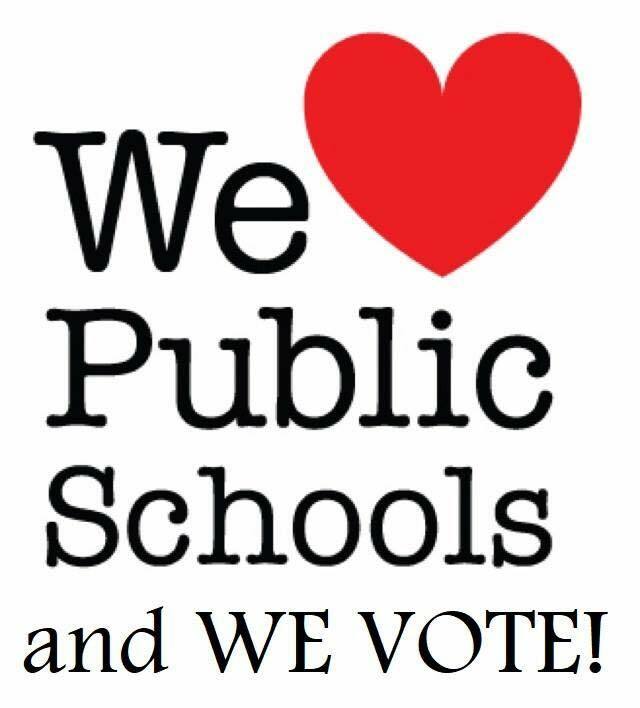 Expect budget cuts in public schools, larger classes, no money for higher salaries, layoffs for teachers, school nurses, librarians, counselors, the arts. Read a short, sordid history of Indiana's assaults on Public education and our communities, by our Hoosier legislators and governors. Is Your School Year Over Already? How much does all this testing rob from your child? High stakes tests have become the educational equivalent of the office where nobody can get their work done because they're constantly attending meetings to give progress reports on the work they're not getting done. High stakes testing have effectively, drastically, shortened the school year, not just by the week or two required to give the test, but by all the weeks used to get ready for it. Simply abolishing the test, or even removing all stakes from it, would instantly improve education in this country because it would instantly lengthen the school year by weeks. Many of us have been aware of problems with charter schools for a long, long time. 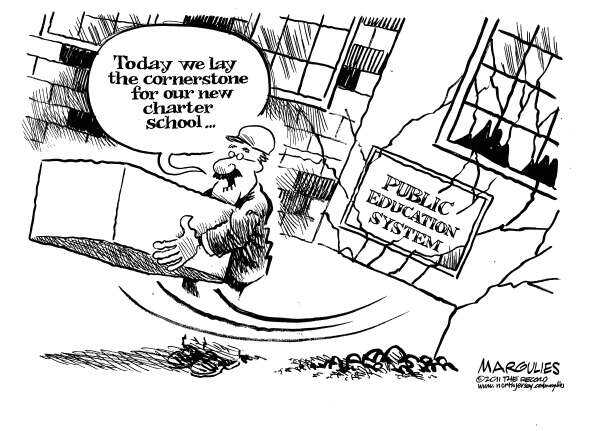 For over two years now, the Network for Public Education has been logging reports in local newspapers when an entrepreneur is caught stealing tax dollars; or when a state, a school district or charter authorizer finally shuts down a charter school for academic malpractice; or when a charter school goes broke mid-school year leaving children without a school mid-semester. 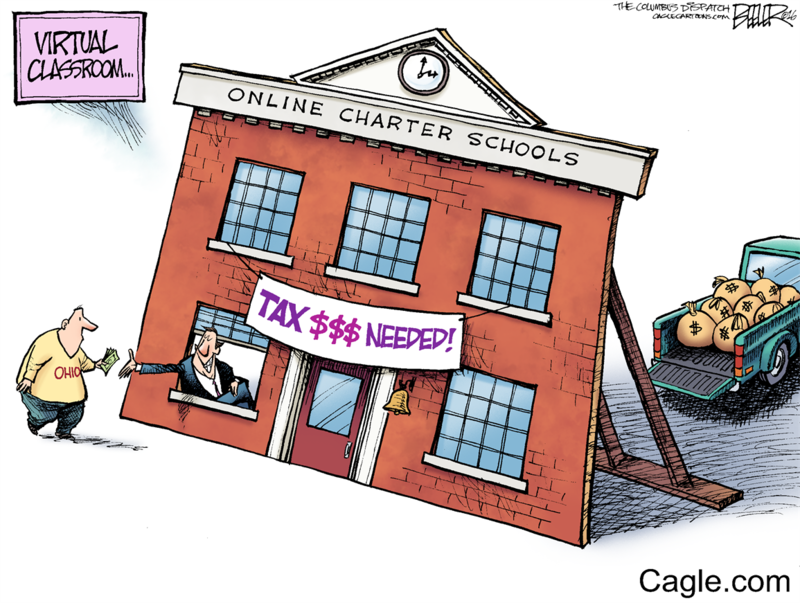 But the past month has produced an uptick in reports of large scale charter school ripoffs and charter school failure. The superintendent of a Houston charter school and a school employee have been charged with embezzling more than $250,000 from the school’s bank account. LACK OF TRANSPARENCY FROM US.ED. 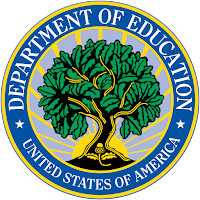 Jeff Bryant: What is the U.S. Department of Education Hiding? 1. Can you provide a similar document describing how the grant review process is currently being conducted for the Charter Schools Program Grants to State Entities? 2. If not, can you briefly comment on how the grant review process used for the Charter Schools Program Grants to State Entities aligns with or varies from the Overview referenced above? 3. 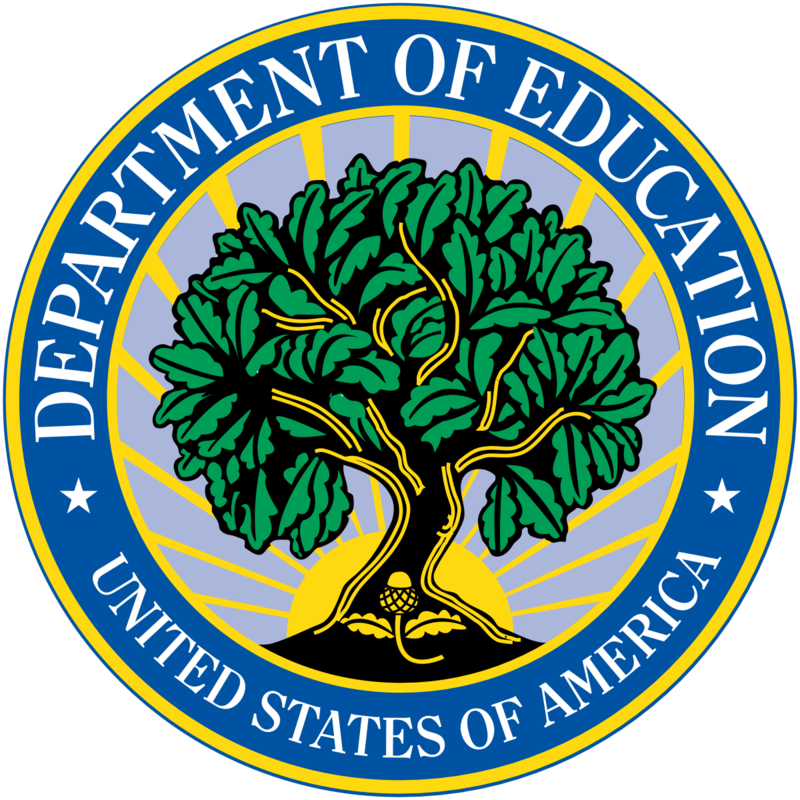 Regarding a “Dear Colleague” letter sent to State Education Agencies in 2015 emphasizing the importance of financial accountability for charter schools receiving federal dollars, was there any follow-up by the Charter School Program to ascertain how many SEAs complied with this request and what was the nature of the new systems and processes put into place by SEAs to provide for greater accountability?